Counties have been urged to move into action towards addressing the adverse effects of climate change as time is ripe to shift to implementation of the existing climatic policies. African Centre for Technology Studies Head of Climate Change Programme Dr Joanes Atela said that we have many crucial policies on climate change but of more paramount is to put them into action. “There is an abundance of climate policies. This is crucial, but perhaps more important now is to shift focus to the implementation of the policies. We need to explore innovative approaches, and document such, that would contribute to effectively addressing the effects of climate challenge,” Atela stated. Atela further noted that to effectively address climate change, focus now should be on fostering concerted efforts saying that everyone has a part to play in tackling the climate change menace. Dr. Atela spoke on Wednesday during the mapping and upscaling of climate change action in Kenya conference held at Wote in Makueni County. 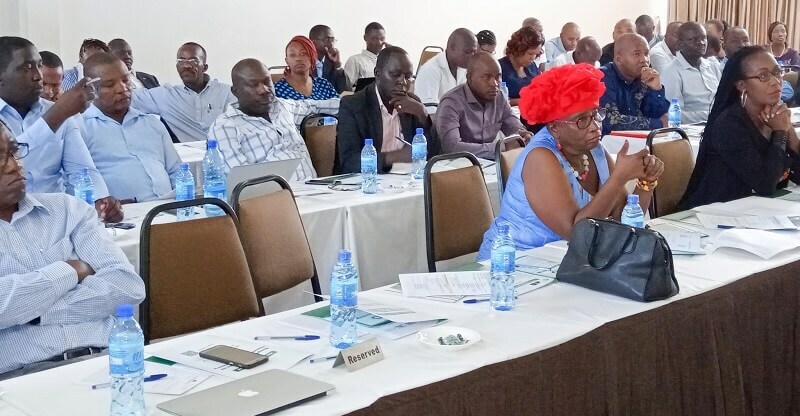 The two-day workshop which attracted delegates from the 47 counties seeks to map and catalyze the extent of climate action in Kenya counties, and foster peer learning on how to catalyze and scale climate action in the country. Makueni Deputy Governor Adelina Mwau who officially opened the conference stated that the county had made some major milestones towards combating climate change. She observed that the county has constructed sand dams in major rivers, banned sand harvesting in rivers and promoted water harvesting through several initiatives, among them the merry go round program for buying group members water tanks among other interventions within Makueni.